Two more novellas to write about before I wind up my November Novella Challenge. They have similar themes, but they are two very different little books. 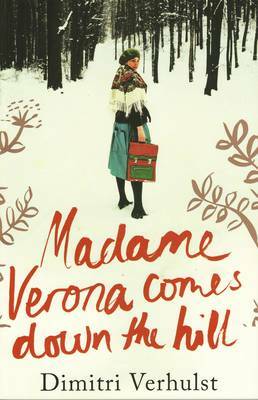 Madame Verona Comes Down The Hill has at its heart a story that is simple, sad and lovely. Madame Verona and her musician husband Monsieur Potter live in an isolated house at the top of a steep hill overlooking the village of Oucwegne. The village is quiet and remote, slowly dying because no girls ever seem to be born there. Both the couple and the community are reaching the end of their lives. Madame and Monsieur are happy, together in their own home and on their own land. But as they grow older things become more difficult. Monsieur Potter is diagnosed with an incurable disease and makes the to take his own life, to die in his own time and on his own land. The villagers think that Madame Verona will not manage, will not want to live alone, will come down the hill to live in the village. But she stays in the home that she shared with her husband for another twenty years with only her dogs for company. She burns the firewood that her husband left her and builds a cello from the wood of the tree from which her husband hanged himself. Love and loss are quite palpable. Eventually the day comes when the last log has been burned and the cello has been built. And then Madame Verona does come down the hill, knowing she won’t have the strength to go back up ever again. Dimitri Verhulst has written a wonderful meditation on love, ageing and loss, using language and imagery quite beautifully. That make this into a book to stand back and admire rather than a book to wrap your arms around and hug. Some like the former, but I prefer the latter. 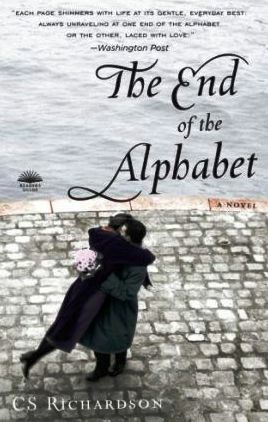 The End of the Alphabet was a much more huggable book. Ambrose Zephyr is a fifty year old, happily married Londoner. But then he is diagnosed with an unidentified terminal illness and given only a month to live. Ambrose that he must to seize the day. And so, accompanied by his wife Zappora Ashkenazi (also known as Zipper) he sets off on a journey round the world, visiting each city on his list in alphabetical order. Each stop evokes different memories, different emotions for Ambrose and Zipper. And each must learn to cope with Ambrose’s illness in their own way. The chapters grow shorter as time runs out, and events take an unexpected turn before a sudden conclusion that is, sadly, inevitable. Ambrose’s story is both quirky and charming. That together with the alphabetical conceit could have been too much, but it works because those elements are balanced with very real emotions. A wealth of tiny details, the little things that couples know about each other, bring Ambrose and Zipper. And all of the important things ring true. An ordinary couple made special by their love for each other. True magic! I was devastated for Zipper when she lost her husband, but I could smile too when I thought of her and Ambrose together. 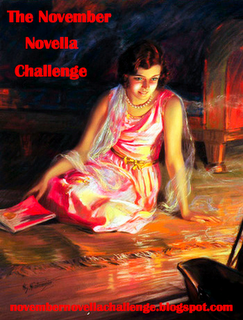 And that rounds off this year’s November Novella Challenge for me. I must thank by J.T. from Bibliofreak for hosting once again and inspiring me to pick up some lovely little books. The two I’ve written about today plus Niki: The Story of a Dog by Tibor Déry and Beside the Sea by Veronica Olmi. I only wish I could have fitted in a few more. But hopefully we’ll do it all again next year!